Pictures from the PYC entry for the 2018 Viking Fest Parade. Wine Knot was a wine tasting and Italian Dinner on the Deck on June 22, 2018 A sampling of 6 wines during the cocktail hour, then a lovely Italian dinner prepared by Dave Goffin. Laurie Goffin coordinated the wine choices for the evening. 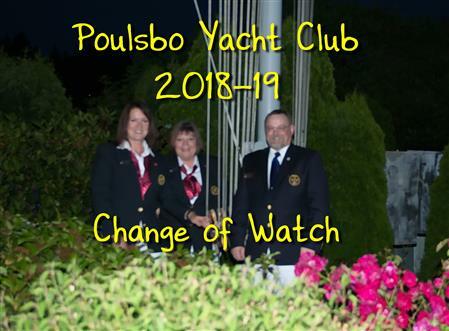 Images from the Poulsbo Yacht Club Ship's Store. "When witches go riding and black cats are seen, the moon laughs and whispers, 'tis near Halloween." Week one of the 2018 Jr. Sailing program at PYC. PYC's 49th Lighted Ships Parade on December 15, 2018. Jr. Sailing 2018 - Sixth Week August 13 through 17, 2018.